The Watnall WI Hall is available for hire at competitive rates. 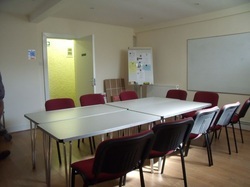 We have two rooms available for hire: the Main Hall which can seat up to 60 people; and a smaller Seminar Room , known as the Rolleston Room, which can seat 20 people. 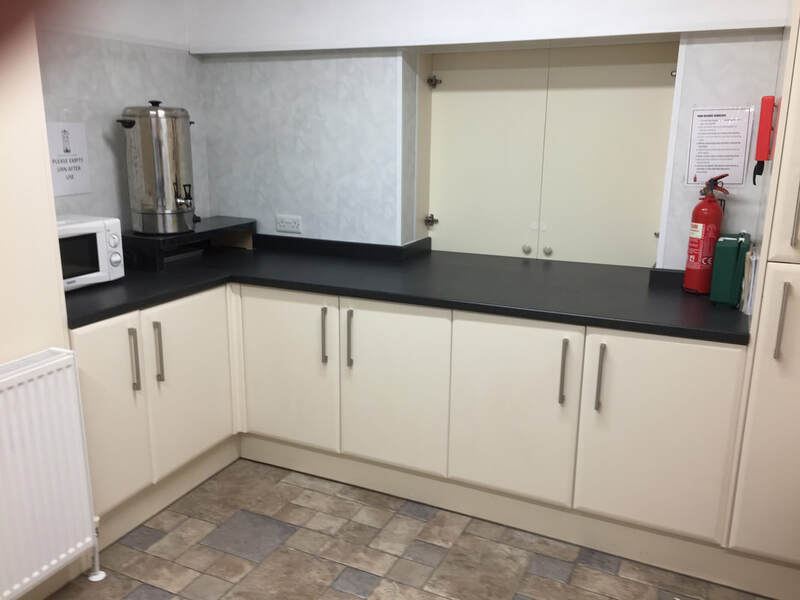 Chairs and tables are available, and there is access to the well equipped kitchen from both rooms, as well as newly refurbished toilet facilities. The Main Hall is approximately the size of a badminton court, and can seat 60 people. Chairs and tables are available from a store off the Main Hall. There is an electronic piano, a projector screen, induction loop, microphone and a number of electrical sockets. 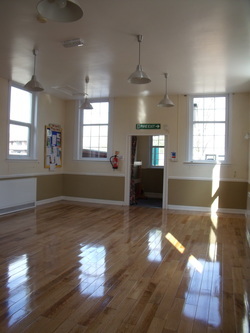 With easy access and a hatch to the kitchen, which is equipped with crockery for 30 people, an urn and kettles, a cooker, microwave and fridge, this hall is perfect for parties and small functions, eg children's and family parties and celebrations, as well as business meetings, funeral wakes, social clubs and activities. There is access to toilet facilities from the hall. For many years, the Hall has been used as a Polling Station in General and Local Elections. The Rolleston Room is a smaller, more intimate function room, used by the WI as their committee room, and which can seat up to 20 people. The room is well equipped with sockets, a flip-chart, whiteboard. This room can be arranged to accommodate different uses. 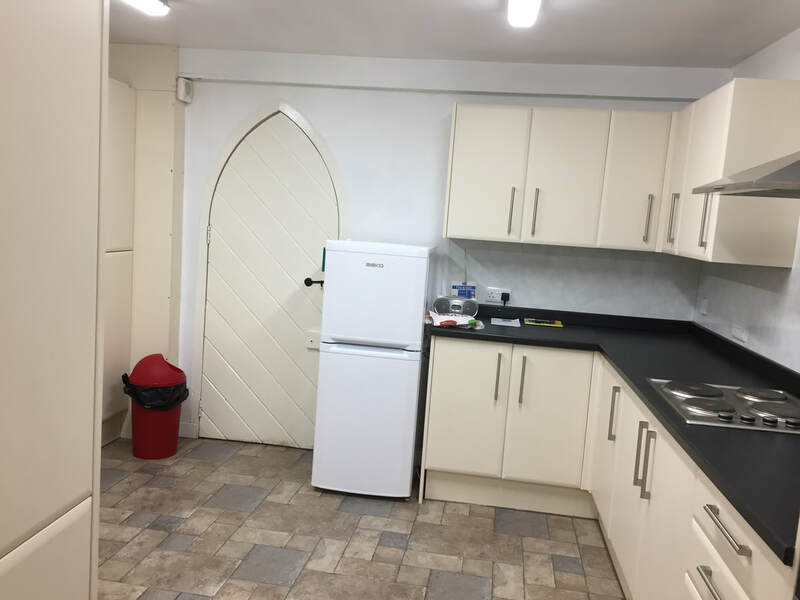 The kitchen and toilet facilities are nearby. ​The kitchen is both spacious and well equipped, with a convenient hatch serving the Main Hall. 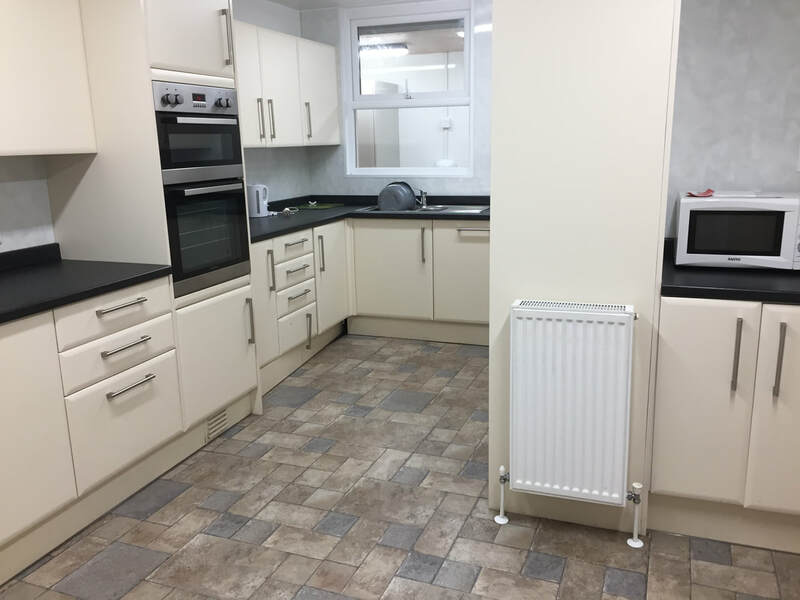 The facilities include an oven, grill, hob, microwave, dishwasher, two sinks, fridge/freezer and electrical hot water urn, as well as crockery for approximately 30 people. or email us using the contact us form.